This year we opted for the girls to have flu shots. 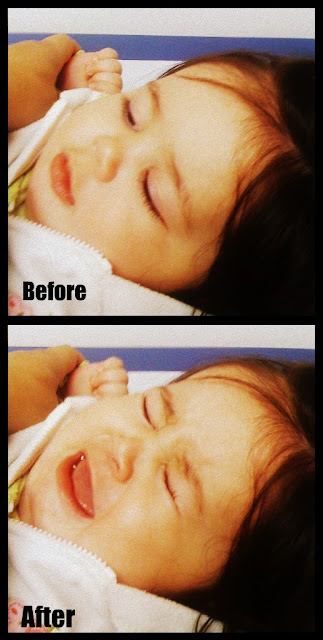 Since this was the first time for each of them they had to take the vaccine in 2 doses. Today Lou had to get the second shot. Shots are never pleasant. Poor Lou! 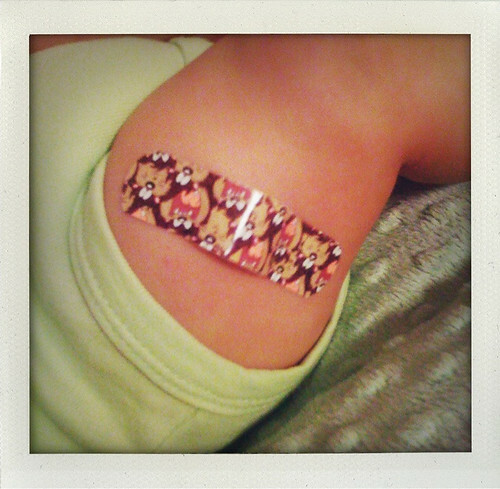 At least she got a cool band-aid. Reminds me of the Pep, he always goes in saying that he can handle a couple shots.... then after they are over and he is crying he always says "Why do shots have to hurt?" I always answer, better a little pain than a lot of pain from a nasty flu or worse, a virus or disease. Hope both girls are feeling better!